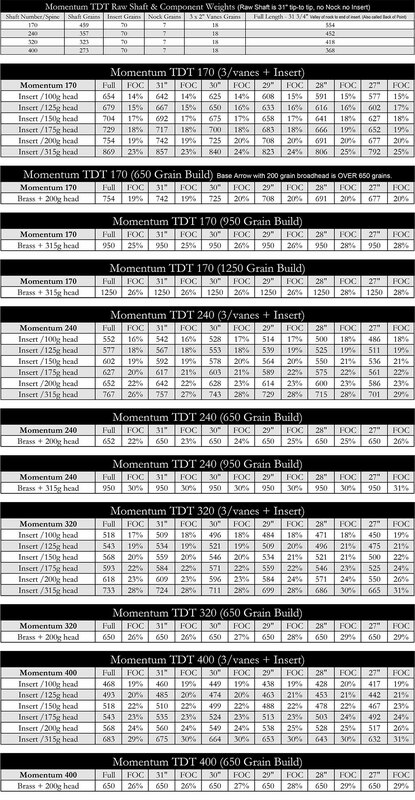 Click on the links below for our handy charts listing all the different Momentum TDT total arrow weight combinations (at length) matched with all six GrizzlyStik broadhead weights and their corresponding arrow FOC percentages. Your arrow spine is effected by bow poundage, cut length, head weight and shooting form. For a full overview of arrow testing recommendations can be found here arrow testing page.